It’s Thanksgiving season once again!!! 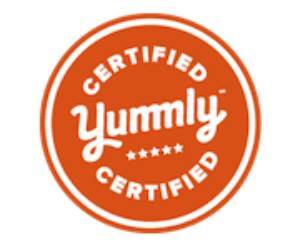 Are you excited to sit and eat super delicious dishes while wearing your stretchy pants?! Well, you should be because this is the time to give thanks for all the bountiful blessings received, time for families to get together, plus.. time to fill your face! Now, what’s to eat on Thanksgiving? Hmmm… it could be a bit challenging, yet exciting, or, you could stick to the same old, same old. There’s nothing wrong with that, because sometimes, you just can’t beat the classic recipes! 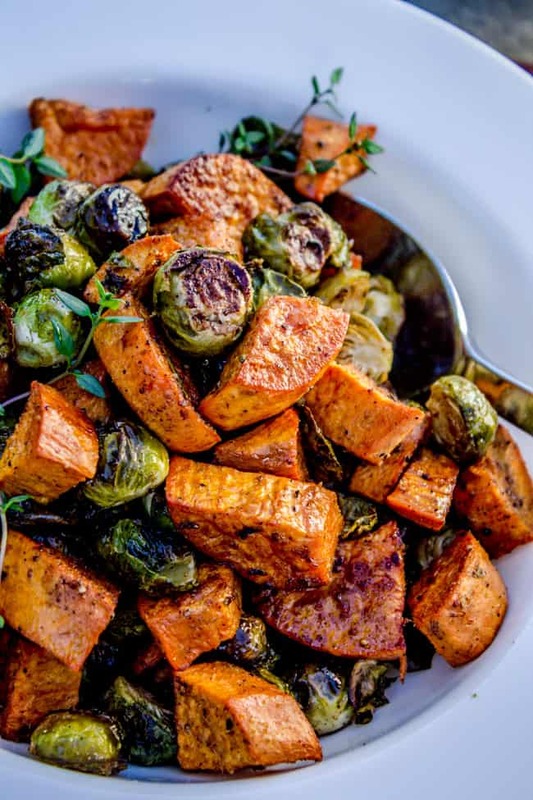 However, if you’re tired of your aunt Betty’s overcooked brussel sprouts and you’re looking for something different, let me help you on that! 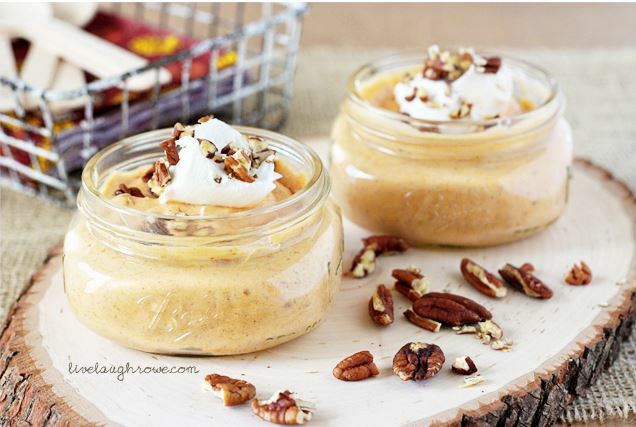 Here’s a collection of 20 scrumptious thanksgiving recipes that can be served to amaze your guests, families, and help with the face stuffing part! 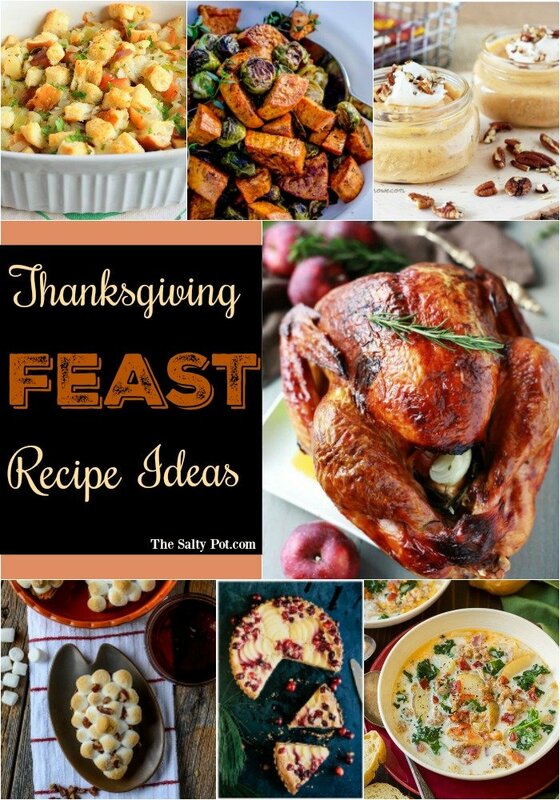 This little compilation of recipes is a variety of easy to prepare appetizers, great tasting soups, awesome side dishes, flavorful desserts, and of course the highlight of the dinner… juicy and tasty turkey recipes!!! So whatcha waiting for? Let’s get to work and plan ahead!!! Looking for a unique appetizer? 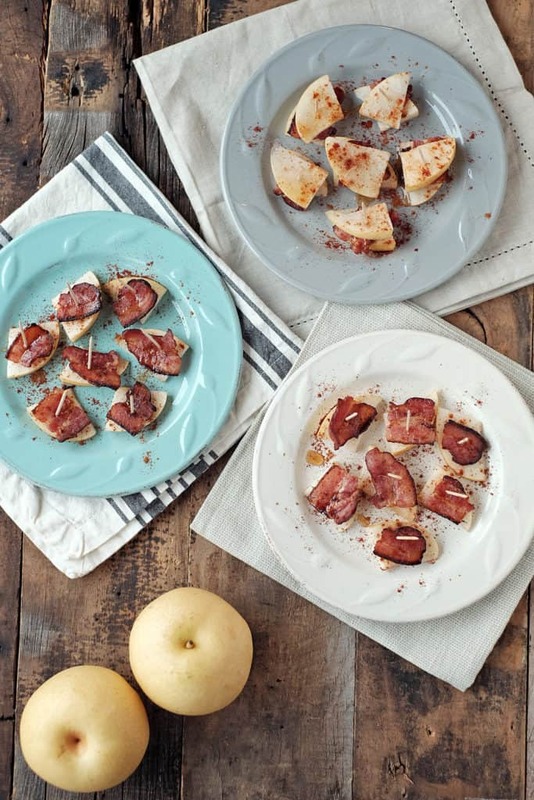 This combination of pear and bacon will make everyone in the table drool and ask for more! 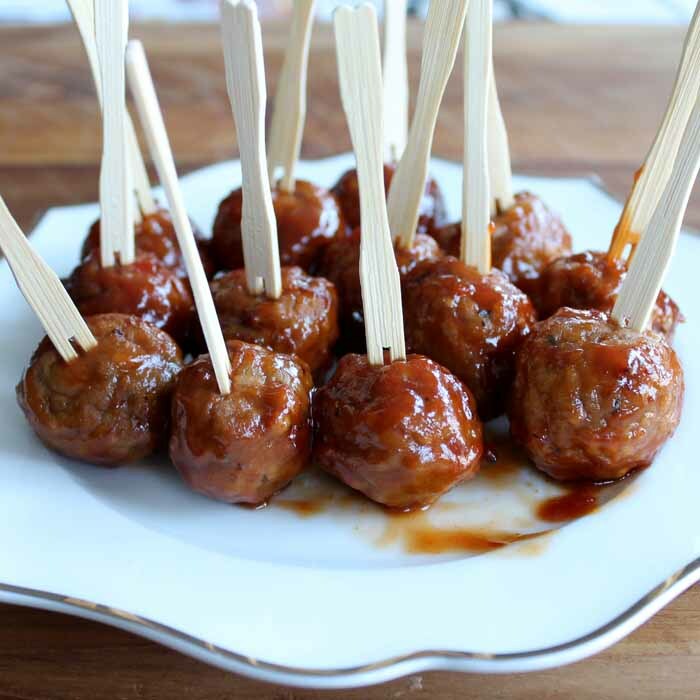 These meatballs will surely become a crowd favorite in your family gatherings!!! Give thanks for these bite-sized finger foods that are surely finger licking good! 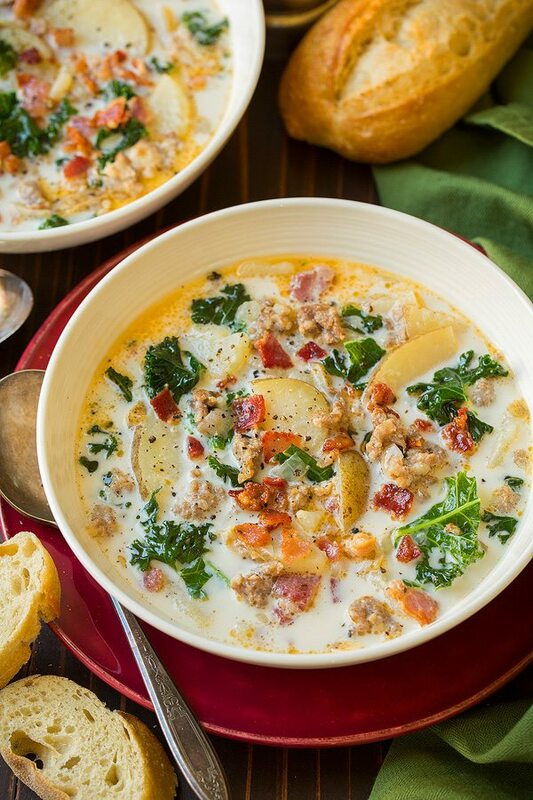 This soup is one of the reasons to be thankful for! It’s a delightfully creamy favorite!!! A perfect soup to start the meal – or, use leftover turkey to make it a main! 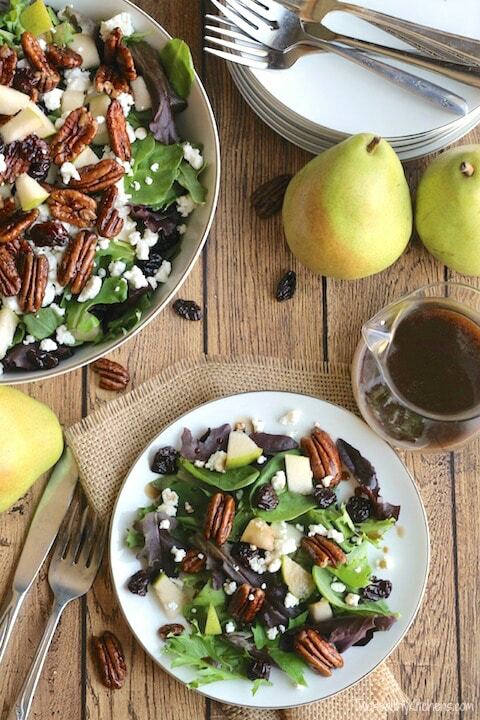 Now THIS is a salad worthy of any holiday dinner table for sure! 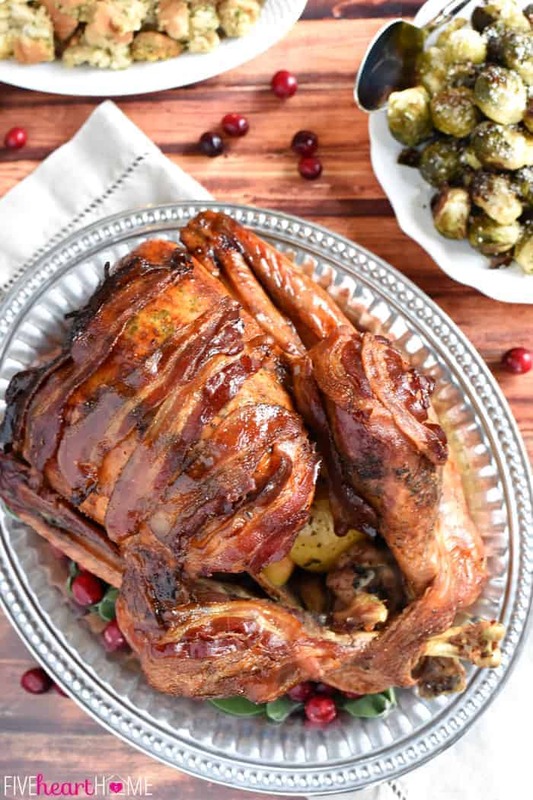 Give an amazing twist to turkey by adding everyone’s favorite- bacon!!! Everything is better with bacon! 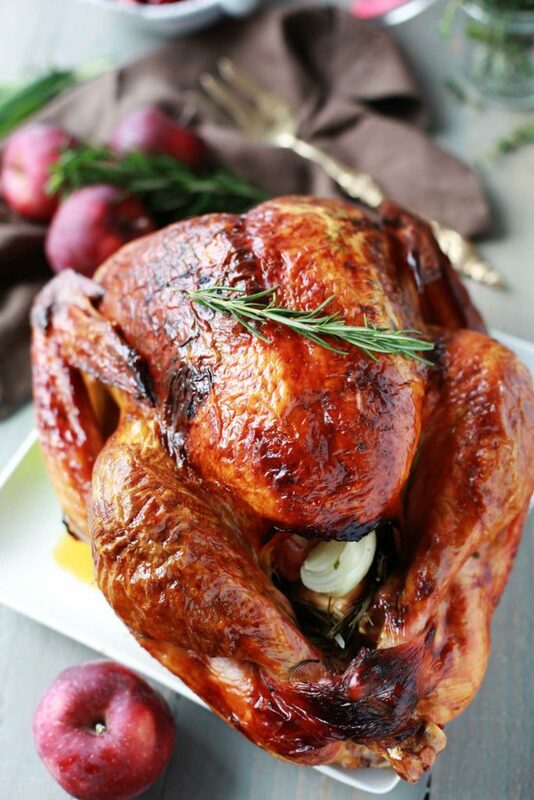 This turkey recipe bursts with flavor!!! It’ll definitely make the perfect showpiece for Thanksgiving dinner!!! Pepperoni on turkey??? Why not!!! Surprise everyone with delicious pepperoni slices in the stuffing!!! Pairing pear with turkey for Thanksgiving!!! Definitely, a must try for something new! 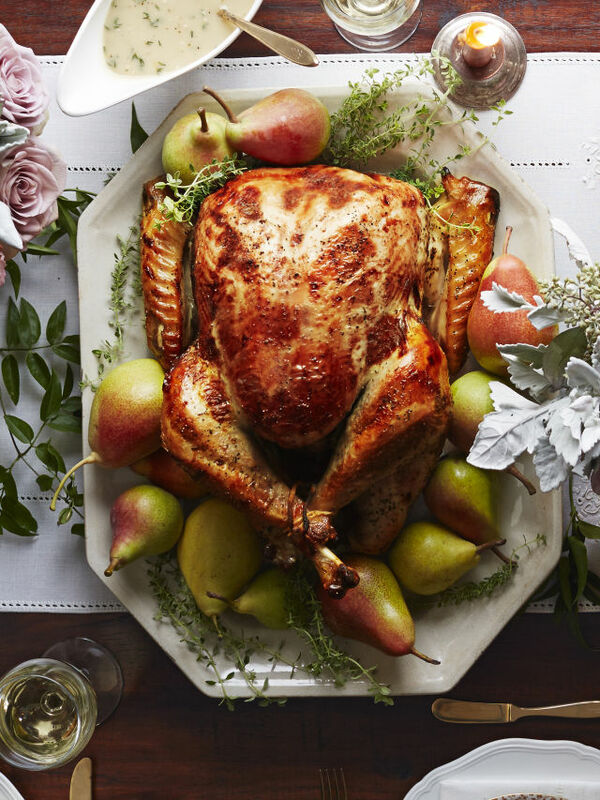 Not wanting to cook a WHOLE bird? 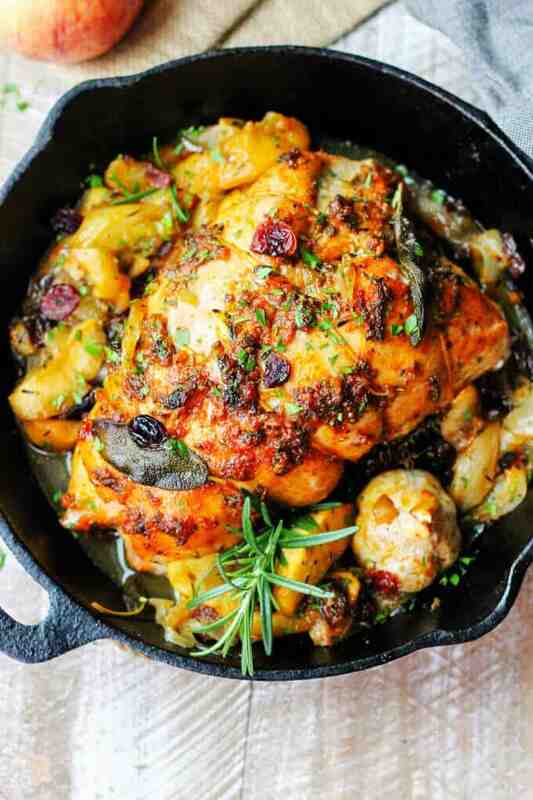 Then cook this deliciousness up, using just the breast! A bit fruity, light, and super easy to put together. Perfect for the new cook! Delicious individual boats that are just plain adorable – your guests will LOVE them! 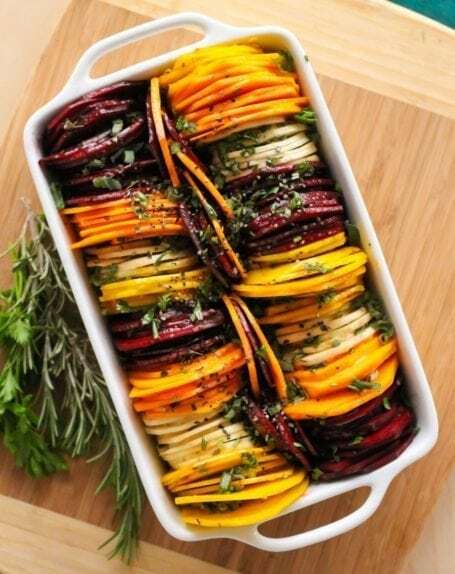 Colorful and tasty!!! A perfect combination that will guarantee a successful dinner! Deliciously tasting and so unique, you’ll WOW your guests with this one! Seriously, how can you go wrong with this one?!?! 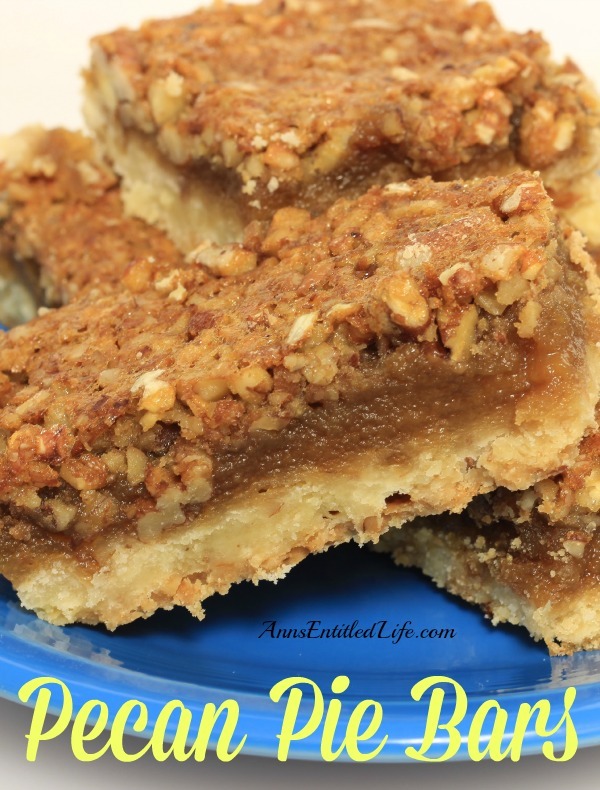 Like pecan pie, but easier to make!! 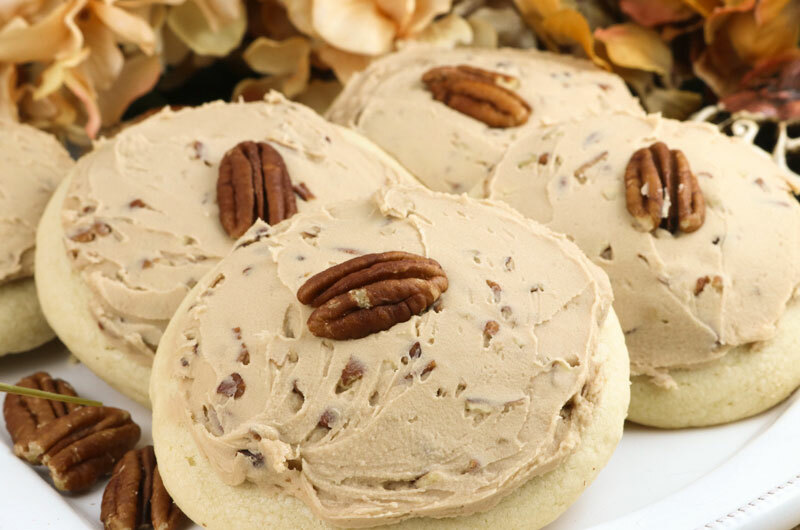 Maple, pecan, and frosting – all in a cookie – perfect on a display with other treats! Very festive and super yummy looking!!! A perfect way to finish off a perfect feast!!!! So there you have it my incredibly gorgeous readers. 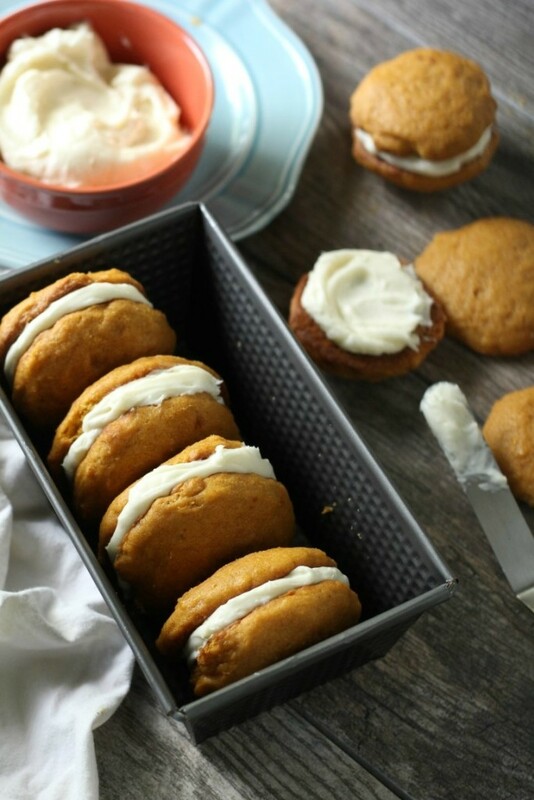 20 Scrumptious Thanksgiving Feast Recipes that will surely knock your families socks off! I’ll bet that there’s one or two recipes in here that will be requested again.. and again.. and again.. In fact, so much so, you’ll get sick of cooking them and come back here to try a few more! 🙂 Happy Feasting!